We have added some more photos of recent events to our Photo Gallery. Click on the slideshow above to go to the Gallery. 36 beavers, cubs, scouts and leaders from Crofton attended Bramham Park, Wetherby during the Spring Bank holiday weekend for the Central Yorkshire Scouts 100th anniversary camp. Despite the weather being a little inclement at times, everybody enjoyed activities such as caving, fell walking, abseiling, rock climbing and crafts. A total of around 3000 people attended the camp from all parts of Yorkshire. Crofton Cubs and Beavers spent a Monday evening in June with ranger David Mee at the Heronry Centre, Winterset. They took part in several activities including pond-dipping which was enjoyed by all. A BIG THANK YOU to David for the fun experience. Crofton scouts ran the well-known tea tent at this year's Carnival event. All sections took part in the parade through the village to the Carnival field. As well as raising in excess of £150 for funds they also gained 2nd prize in the procession. Thank you to those who supported us and thanks to the Carnival Committee for the tea tent. See you next year! Good point, David! I have now moved some pics into a new separate Album called "Exploring Nature". EasySearch - raise funds when you search the web! Look, Mum, I'm on the telly! Here's a quick guide to the structure of this page to help you to get the most out of it. "Labels" are links to certain categories of blog postings. Hopefully this will help you to find a posting which has fallen off the main page but is still relevant. Some postings have comments. Click on the COMMENTS link at the end of a posting to see the existing comments or to SEND YOUR OWN COMMENT (you may do this anonymously). Searches. You can perform a Google search for anything on our website, or on the internet as a whole, using our Google Custom Search. There's also a link to the new EasySearch facility which helps raise funds via a search powered by Yahoo!  The 2nd Wakefield Crofton Scout Group takes the issue of privacy very seriously and we are committed to protecting and respecting our users' privacy. This Privacy Statement sets out our current data processing practices. If you have any queries or concerns regarding these practices, please contact us. We will ask you when we need information that personally identifies you (personal information) or allows us to contact you. Generally, this information is requested when you are registering an interest in Crofton Scout Group. Personal information collected by Crofton Scout Group is limited to e-mail address, country or location, but may include other information when needed to provide a service you requested. * To contact you about the service in which you have expressed an interest. Crofton Scout Group will disclose your personal information, without notice, only if required to do so by law or in the good faith belief that such action is necessary to conform to the edicts of the law or comply with legal process served on Crofton Scout Group or the site. When you register, or otherwise give us personal information, Crofton Scout Group will not share that information with third parties without your permission. It will be used only for the purposes stated above. Crofton Scout Group strictly protects the security of your personal information and honours your choices for its intended use. We carefully protect your data from loss, misuse, unauthorised access or disclosure, alteration, or destruction. Your personal information is never shared outside the group without your permission, except under conditions explained above. As you access any website, technical information about your computer is usually stored on the Web Server: the operating system your computer is using, the pages you have visited, etc. Crofton Scout Group, like most sites on the Internet, use "cookies" to enhance your experience on the web. Crofton Scout Group cannot use these cookies to identify you personally in any way. A cookie is a unique number that is provided to you the first time you visit our homepage. This unique number, which is stored in a cookie file on your computer, helps Crofton Scout Group to set pages up for you. This site contains links to other Internet sites. This privacy statement only covers the Crofton Scout Group website.